Capmark Finance, Inc. has originated a $ 2,100,000 loan to refinance Griffin Auto Park for a local ownership group. The six-story, 539-space parking garage is located in the southeast section of downtown Dallas known as the Government District. The loan has a 10-year term, 20-year amortization and a fixed interest rate below 7 percent. 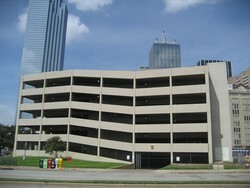 One of only a few private parking garages in downtown Dallas, Griffin Auto Park has the added advantage of being located within walking distance of Dallas City Hall, the Dallas Convention Center, the Earle Cabell Federal Courthouse Building and a number of other downtown office buildings. Vice President Ashley Harkness, a mortgage banker in Capmark’s Dallas office, originated the loan, which was funded by Aviva Investors North America. 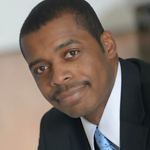 The borrower was Griffin Street Auto Park, Ltd.
“Capmark Finance helped the borrower refinance a maturing securitized loan by arranging the debt through one of our correspondent life insurance companies,” said Mr. Harkness. “It is noteworthy that we were able to secure financing with a favorable interest rate for a parking garage despite one of the most difficult credit environments in recent memory,” he continued.